Crepes are thin pancakes and are made in a small, broad pan. They are usually mildly-sweet and served with fruits, cream, honey, etc. Crepes are believed to be of French origin, but they are popular all over the world, and several variants – especially with a Mexican influence – are in practice today. 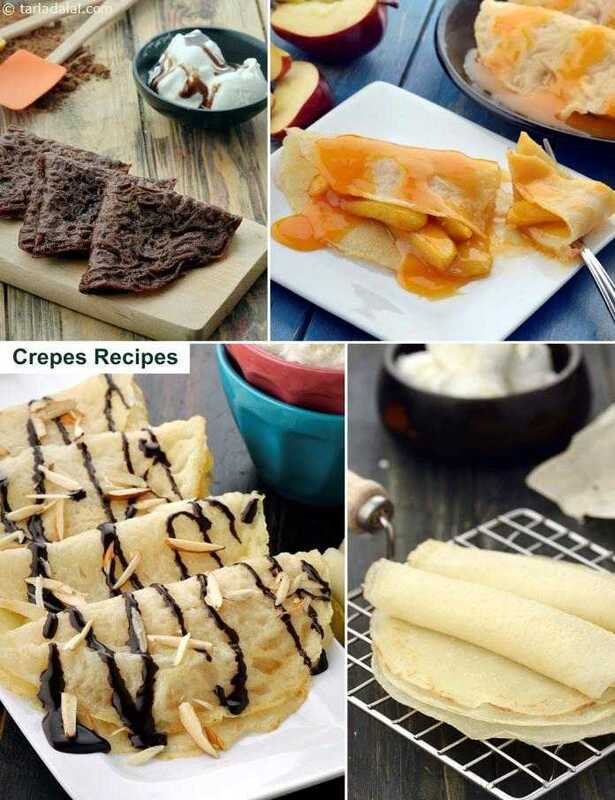 From the basic French recipe for Crepes, to delicious creations like Crepes Mexicana and Makhani Crepes, you will find many lovely recipes in this section.